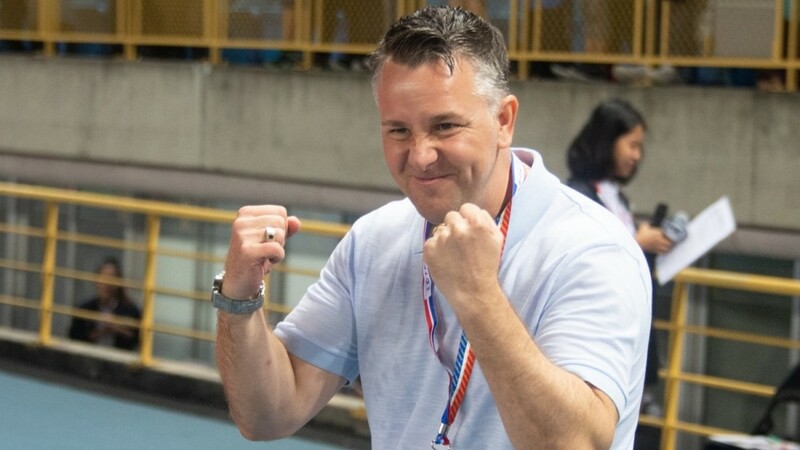 In an interview with the South China Morning Post, Gary White has said that people thought he was a bit mad that he thought Hong Kong had a brilliant chance of qualifying for the final round of the EAFF (East Asian Football Federation) championship. Clearly, everyone in Hong Kong thought like everyone else; North Korea has this in the bag like always. White and the Hong Kong lads had other ideas though, and the winning margin couldn't have been any smaller, with both Hong Kong and North Korea level on points, and goal difference. That meant it came down to goals scored, and Hong Kong won the group on the basis of scoring a goal more overall in the tournament than the North Koreans. This will be the first time in 8 years that a different team has made it to the finals other than Hong Kong. The final round of games played right into Gary White's tactical hands. Gary is known for being an attack-minded manager, and the fact he needed to set his team up to smash Mongolia meant this was a situation that White would have felt comfortable preparing for. It's basically the meat and veg of his managerial career so far, which has been built on getting the minnows of the world believing they can attack, score and win and that's exactly what he did in the EAFF second round with Hong Kong. It's not a simple as that but that's the basics of his tactics, attack, score and put the ball in the net as much as possible and then you're more likely to win games. It's just like he went to the school of Keegan coaching. When you're lurking around the bottom of FIFA's rankings though you may as well make it a slugfest because the team willing to go on the offensive will likely have a higher chance of winning in my opinion. Gary White has the Midas touch, but is what he does that revolutionary? Gary White is an excellent manager, who has shown time and again in every job that he can improve whichever team he has taken over, but is his success that amazing? Other than taking the time training and learning what he has to become a great coach, the other stuff is all psychological. He gets into the players' heads and builds up their confidence and belief, and if players are confident and believe in themselves then great things can be achieved. He is obviously a fella who understands how important this side of management is, it's not only about brilliant coaching, you need to be able to understand your players and what makes them tick. If I let my mother explain this kind of thing she would say, "he has the gift of the gab", but exceptional man management can take you as far as good coaching and tactical awareness can, I have already mentioned Keegan but he is a very good example of this. Brilliant at Newcastle where he made the players eat and drink out of dwarf-sized cups to make them feel 25 foot tall, but found out tactically once he got to international level with England. Gary, on the other hand, seems to be a manager who has taken the time needed to become a brilliant manager/coach while also understanding the need for the psychological part of management that helps to elevate players towards greater success.